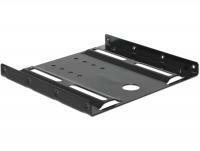 This Delock installation frame in slim-format can be installed into a 5.25â³ SATA slim bay in order to operate a 2.5â³ SATA HDD. 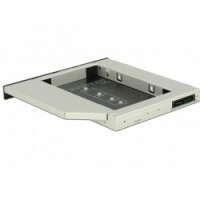 The included universal front panel can be used, when you install the frame into a Mini PC or if your existing front panel of your laptop does not fit. 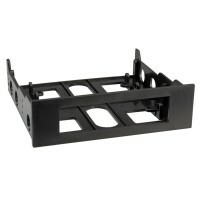 Description This front panel by Delock can be installed into a free 3.5″ bay of a computer. 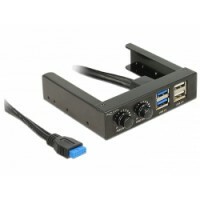 It has two USB 3.0 and two USB 2.0 ports as well as two rotary buttons for fan control. 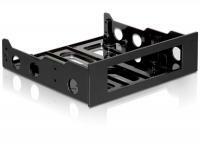 Description This front panel by Delock can be installed into a free 3.5″ bay of a computer. 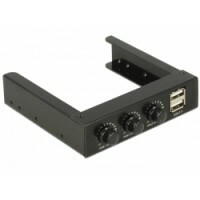 It has two USB 2.0 ports as well as three rotary buttons for fan control. 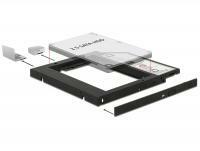 Description This Delock installation frame in slim-format can be installed into a 5.25″ SATA slim bay in order to operate a M.2 SSD. 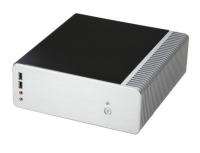 Description This Delock installation frame in slim-format can be installed into a 5.25″ SATA slim bay in order to operate an mSATA SSD. 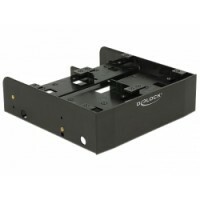 Description This Delock installation frame in slim-format can be installed into a 5.25″ SATA slim bay in order to operate a M.2 SSD or an mSATA SSD. 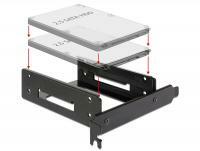 If both slots are occupied, only the M.2 SSD can be used. 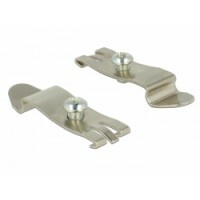 This Keystone holder by Delock can be mounted on DIN rails. 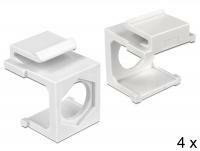 With its standardized dimensions, it is suitable for easy snap-in mounting of one Keystone module. 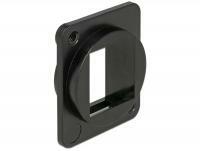 This Keystone holder by Delock can be mounted i. e. in enclosures or cases. 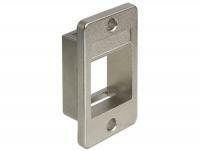 With its standardized dimensions, it is suitable for easy snap-in mounting of one Keystone module. 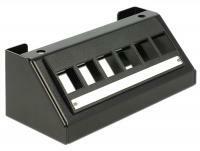 This Delock panel can be used as a small distribution box on the table, a wall or on a cable channel. 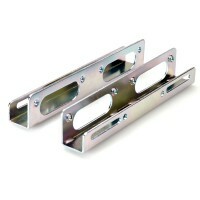 Two different mounting options provide a versatile and flexible installation. 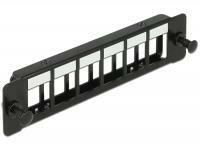 With its standardized dimensions, it is suitable for easy snap-in mounting of six Keystone modules. 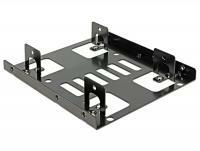 This Delock panel can be used as a small distribution box on the table, a wall or on a cable channel. 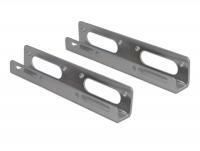 Two different mounting options provide a versatile and flexible installation. 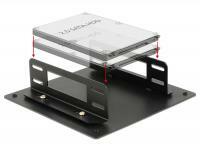 With its standardized dimensions, it is suitable for easy snap-in mounting of 6 Keystone modules. 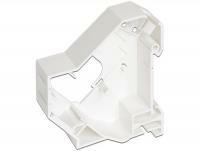 This cover by Delock can be used as a an end plate for the Delock Keystone DIN rail mounts 86212 and 86232. 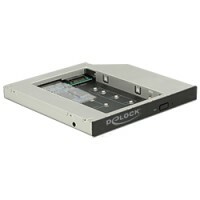 This Delock multipanel can be installed into the 5.25â³ drive bay of your PC. 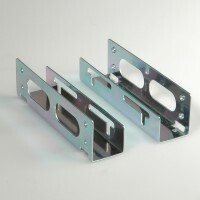 With its standardized dimensions, it is suitable for easy snap-in mounting of six Keystone modules. 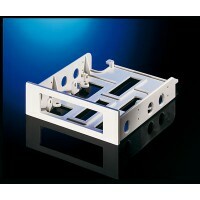 This Keystone Panel by Delock can be mounted i. e. in enclosures or cases. 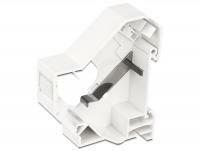 With its standardized dimensions, it is suitable for easy snap-in mounting of 6 Keystone modules. 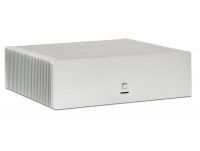 Please note: Due to the narrow design only keystone modules up to max. 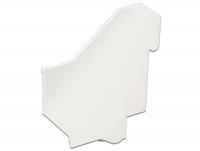 17 mm width can be used. 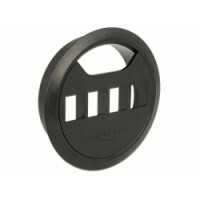 This Keystone holder by Delock can be mounted i. e. in panels or cases with D-type openings for XLR jacks. 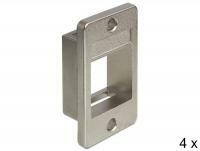 With its standardized dimensions, it is suitable for easy snap-in mounting of one Keystone module. 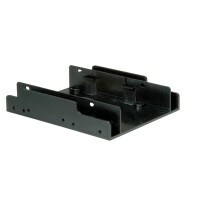 This Delock Keystone mounting can be installed into an existing cut-out of a desk and enables you to lead out the cables for monitor, keyboard and mouse. 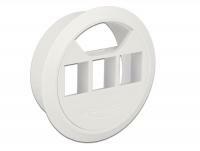 With its standardized dimensions, it is suitable for easy snap-in mounting of three Keystone modules. 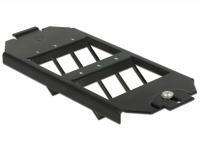 This Keystone Mounting by Delock can be installed in floor tanks. 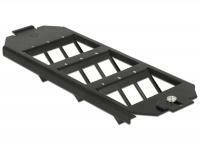 With its standardized dimensions, it is suitable for easy snap-in mounting of six Keystone modules. 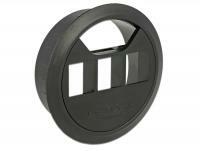 This Keystone Mounting by Delock can be installed in floor tanks. 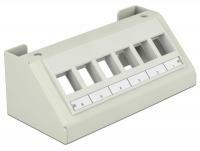 With its standardized dimensions, it is suitable for easy snap-in mounting of nine Keystone modules. 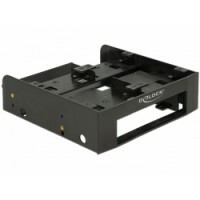 Description This Delock Keystone mounting can be installed into an existing cut-out of a desk and enables you to lead out the cables for monitor, keyboard and mouse. 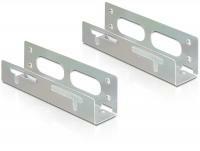 With its standardized dimensions, it is suitable for easy snap-in mounting of four Keystone modules. 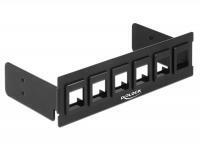 Description This holder by Delock can be used to mount a desktop patch panel on a DIN rail.